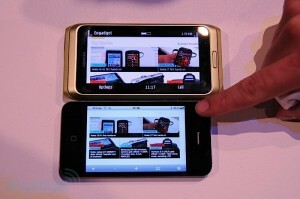 The engadget guys have managed to put a comparison on Apple’s iPhone 4 Retina display against on the new CBD (ClearBlack Display) technology of Nokia. As we all know, these two new technological terms had just appeared this year, but what we don’t know if these technologies are really a worth to consider as a breakthrough. Let’s see on the comparison. 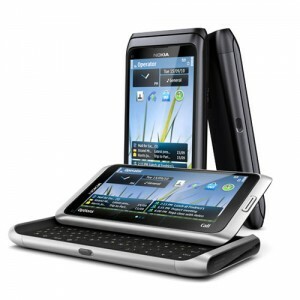 The Nokia E7, C7, and C6-01 were finally unveiled by Nokia today on Nokia World in London. They will finally add up to the lists of Symbian^3 handsets joining the Nokia N8. The three devices are, of course, running on Symbian^3 OS and packed with multimedia goodness that you’ve been wanting since the start. The enterprise section should be efficient and productive, and that’s why Nokia is rolling a firmware upgrade for Nokia E52 to make users connected and always ready-to-go. The compact business phone will get v051.018 from v034.001 / v033.02 by either NSU or through OTA (over-the-air). Although E52 supports User Data Preservation, it is still better to back-up any content before upgrading to v51. 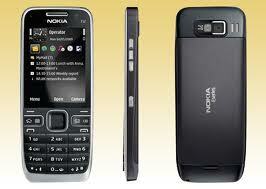 The Nokia E5 is the latest Symbian S60 3rd edition of Nokia at their business line. Packed with 2.4″ non-touch screen, QWERTY keyboard, 5MP, and a lot more to offer when in terms of connectivity like Wi-Fi and 3G. And with the new look design the front of the device would really feel as a smartphone that would fit in someone’s pocket. Nonetheless, Nokia E5-00 is the successor for the enterprise edition of Nokia series E72.